Andy Ward presents a four track EP highlighting some up ‘n’ coming talent from friends of the Vocal Booth and Sounds Of The Booth! At the recent Vocal Booth Weekender in Spain this 4 track E.P was handed out to over 400 people to highlight some fine up and coming production talent, and future SoB release packages. Featuring a diverse selection of tunes which encompass all what the label is about. We here at Pressure radio hope that you pay close attention to the artists on this release, we are sure this is not the last you will hear from any of them. 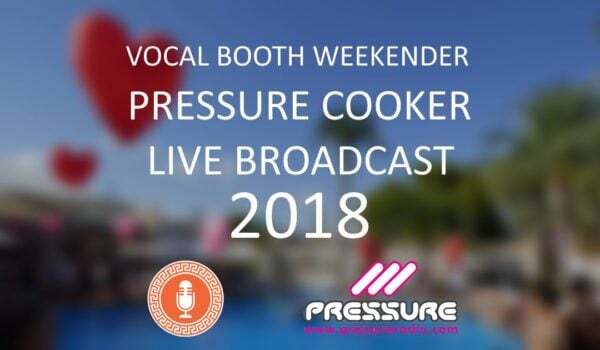 You can catch Andy Wards Vocal Booth show right here on Pressure every Thursday evening 8pm-11pm UK time. You can also catch Richard Fenn and the rest of his crew here live every Wednesday evening 6pm-8pm UK time. You can check out the video below to hear each track. We think you’ll agree they’re all bangers!